Can I Use Any Eliquid In My Vape? Quiet down, cloud-chasers at the back. “Can I use any eliquid in my vape” is a very common question for newcomers to the vaping hobby, and it’s one that deserves an answer. 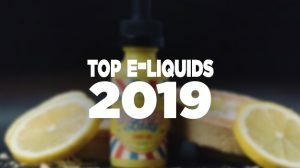 As the vaping market has exploded in recent years, so has the sheer number of choices customers have when it comes to hardware and eliquids. 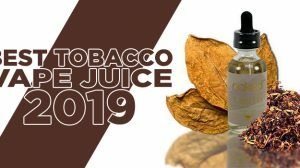 But unfortunately, new vapers often don’t know most liquids aren’t universally compatible with any vape, and that can quickly lead to leaky tanks, clogged coils, and a less than brilliant vaping experience. In this post, we’ll explain why you can’t just use any eliquid in your vape, and how to make the right choices. If you’re a newcomer to vaping, this beginner’s guide to eliquids will help you understand more about what we’re about to discuss. Read it? Great, let’s move on. Without going into as much detail as that guide, we’ll explain what the different kinds of eliquids are. Don’t worry, we’ll keep this short and sweet. Liquids with a higher ratio of propylene glycol, these liquids produce smaller clouds, have a bigger throat hit, and are often able to provide more intense flavors. Liquids with a higher ratio of vegetable glycerin, these liquids are thicker, sweeter, and produce much larger clouds than PG liquids. A 50/50 liquid has an even balance of VG and PG, allowing it to provide a decent throat hit, a medium sized cloud, and tasty, rich flavours. Nicotine-free 50/50 or VG liquids in larger bottles, which can be topped up with a separately sold nicotine shot. A self-contained pod filled with eliquid, usually also containing a coil. These are typically filled with a PG liquid. So, what Eliquid Should I Use in my Vape? Right then. Roughly speaking there are five types of liquid, judging by that list above. 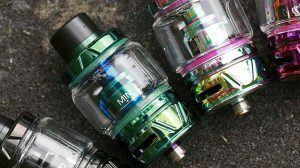 So which should you choose for your vape? If you have a pod vape or a cig-a-like, your choice is simple. In fact, it’s made for you. 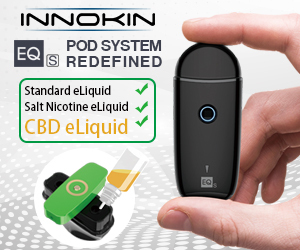 You simply buy a compatible pod which has been pre-filled with the correct liquid. A standard vape pen with a standard coil pretty much requires that you use a standard eliquid. The coils and batteries aren’t powerful enough to heat a high VG liquid effectively, and will usually lead to a clogged coil and a sub-par vaping experience. Most vape pens can handle a 50/50 liquid, although you may wish to steer clear if you’re using an entry-level device. 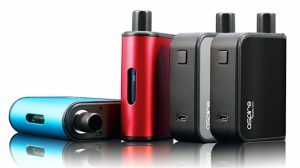 A box mod contains a more powerful battery and a sub-ohm coil, which allows it to heat and vapourize VG with ease. Using a high PG liquid can lead to over-heated juice which is less satisfying to vape and more likely to leak, so always aim for 50% VG or above. Buying the right eliquid isn’t all about PG and VG strengths. It’s also about buying liquids that have been made safely, using high-quality ingredients. Always look for UK or EU made liquids that have passed strict quality control processes. Don’t just buy cheap liquids in bottles with hand-written labels from a bloke at the market. It won’t end well.